At present more and more customers use multiple operating systems such as Windows 7 and Windows 10. We developed a Multi Operating System Boot to meet market demand. Multi OS Boot is a selection of more than one operating system to start from the same client. 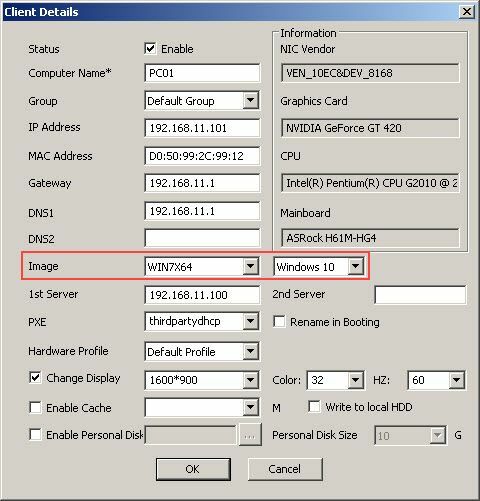 Any customers can choose their operating system such as Windows 7 and Windows 10 Operating Systems in the same server at the same time. In newer version of CCBoot , multi boot system has been simplified and now can be done with a simple selection of boot image in the client properties. Note: You can only set two image as boot image in the multi boot system. 1) Add several image in the “Image Manager”. Refer “Add Image” to add image to image manager. 2) Once you have two images, you can setup Multi Boot. 3) Open ‘Clients Details” dialog box and then click the second drop down of Image field. Choose desired image. 4) After selecting the image, click “OK” to save the client’s settings. 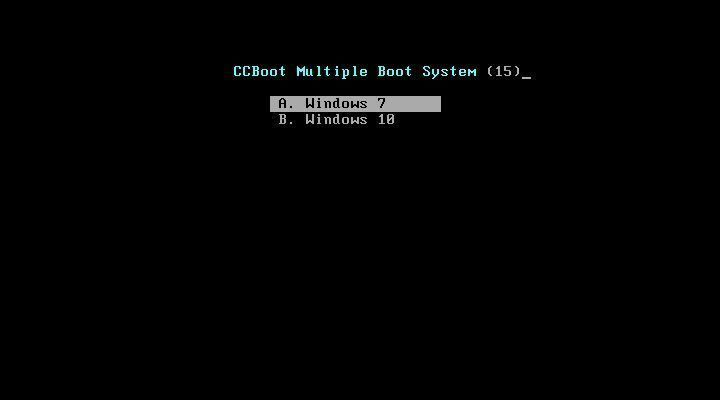 5) Now diskless boot the client, CCBoot Multi System Start up screen as shown on Figure. 6) Just move the keyboard arrow key to select Operating System to boot from.